Vuu-Maatra Consultants is the one of the most promising among the new architectural firms from Bangladesh. Our founder Architect Md. Ziaul Sharif finished school from Bangladesh University of Engineering and Technology on 2004, along the way he also interned with famous architect Bashirul Haque and Indigenous Architects. 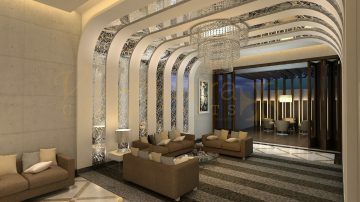 After finishing B.Arch he started working with famous architect Uttam Shaha, at Nandan Architects, later joined with Unique Hotel and Resorts for its exclusive and very prestigious 5-star hotel project- Westin Dhaka as Senior Architect on 2006. 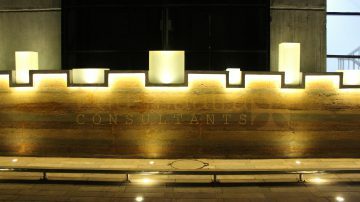 After soft opening of Westin Dhaka, he started his journey with his own consulting firm, “Vuu-Maatra Consultants” from 2008. “Vuu-Maatra” words come from “Vuumir-maatra” which indicates dimension of a land .We believe that a building is a hidden dimension of an open land. Or, we can say, a building exists over an open developing land in hidden form. What type of building? How it will look like? What will be its structural system, construction method & material? The answer of these all questions is related to that land on which it will be built. Because the soil condition, the shape, the location, the climate, context, surrounding culture and socio-economic condition of the land act as a set of knives to give a proper shape to a building form. These all factors always exists with the land by nature and shaping the hidden building in the invisible reality. We just find out that building from its hidden form to visible form, through our dedication of works, knowledge of experience and creative thoughts.